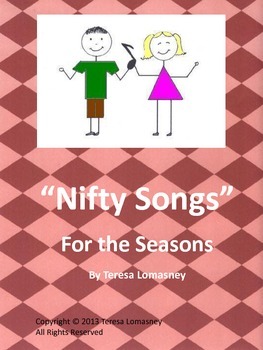 "Nifty Songs" For the Seasons are original songs set to familiar tunes that anyone can sing. These songs are great for "circle time." 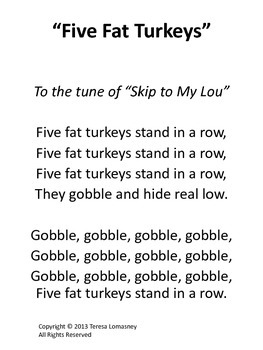 Students can learn counting and more about holidays. * Please go to your My Purchases page (you may need to log in). Beside each purchase you'll see a Provide Feedback button. Simply click it and you will be taken to a page where you can give a quick rating and leave a short comment for the product. I value your feedback greatly and appreciate your patronage! 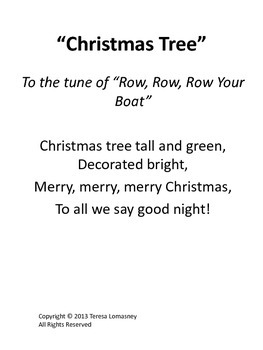 * Look for the green star near the top of any page within my store and click it to become a follower. You will now receive customized email updates about this store. As such, it is for use in one classroom only. But you may purchase extra licenses at a 50% discount! the Digital Millennium Copyright Act.